The Club Open Day, the main event in our promotional calendar, is coming up soon on Saturday 13th May and we still need volunteers to help run the day and make it a success. We are inviting members to volunteer for either the whole day (open to the public 11am-4pm) or for an am or pm session. For all those who stay till 4pm, the Club will be putting on a barbecue as a thank-you (not open to the public). We need helpers to: help manage the boat trips, help people with sailing kit, take people out sailing (this year we will have the use of 3 RS Quests as well) or try windsurfing, and be persuasive about the Club and get them to join. We are still some way short of having enough volunteers for the Club Open Day on Saturday 13th May (11am-4pm) and would like to encourage you to come forward to fill one of the roles for either am (10.30am-1pm), pm (1-4pm), or the whole day. 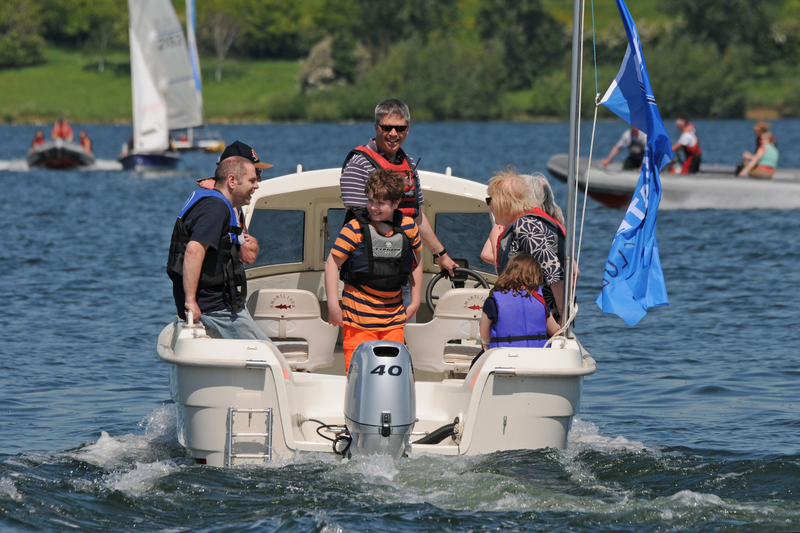 You don’t have to be an expert sailor or long standing member to be able to help – indeed it is often our more recent and inexperienced members who are the most persuasive about the Club! If you are able to help on the day, please send an email to Ian Macwhinnie ianmacw27@hotmail.com indicating what you would like to do or say ‘anything on the day’. In addition, please take some of the Open Day leaflets from the bar or shop to hand out in your street, your place of work or any public places (libraries, gyms, etc) you frequent or know. For a pdf version of the leaflet, click on the Open Day banner on the Club website. May is a bonus month for Pursuit Races with the John Siggers Pursuit Race next Monday the 1st May and the Sir Charles Barratt Pursuit Race on Monday 29th May. Can anyone stop Millie Irish, winner of the April 17th Pursuit Race, increasing her lead in the 6-race series? There were 27 boats on the water for the race, a good turnout for early in the year, and it would be good to see even more taking part. The new race sequence, with clocks running both on the Committee Boat and in the Wet bar, has been seen as a great improvement, removing the previous uncertainty over when your start is. Datum for both races is 11am. The Youth and Junior Clubs have now started on a Friday evening and Saturday morning. To find out more information please click here. As you may or may not know we have had a change of caterer for our Wednesday night food. So far the menu has been going down a treat so if haven’t yet tried it and have that ‘hunger urge’ after racing then give it a try. It’s a bargain at just £5.00. The opening times for the Open Day on Saturday 13th May will be 12:00pm – 6:00pm. For the May bank holidays the times will be 12:30pm – 7:00pm. As the weather gets nicer the site can get very busy and put a strain on the car parking. the Committee are looking at ways to protect our car parks for members, but to help the process make sure that you have your 2017 car stickers on display in your car. There has been a hive of activity here at the Club over the Easter holidays with the Youth and Junior courses starting. The courses have been attracting good numbers which we hope will continue for the rest of the Summer. 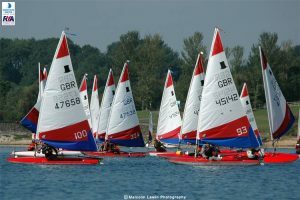 The Pursuit Race and the Novice & Junior series have started well this year. If you would like to get involved or would like to know more then please visit our website or enquire at the Waterside Reception/shop. The latest issue of Unshackled is out. This is a bumper issue, at 16 pages possibly the biggest issue yet. 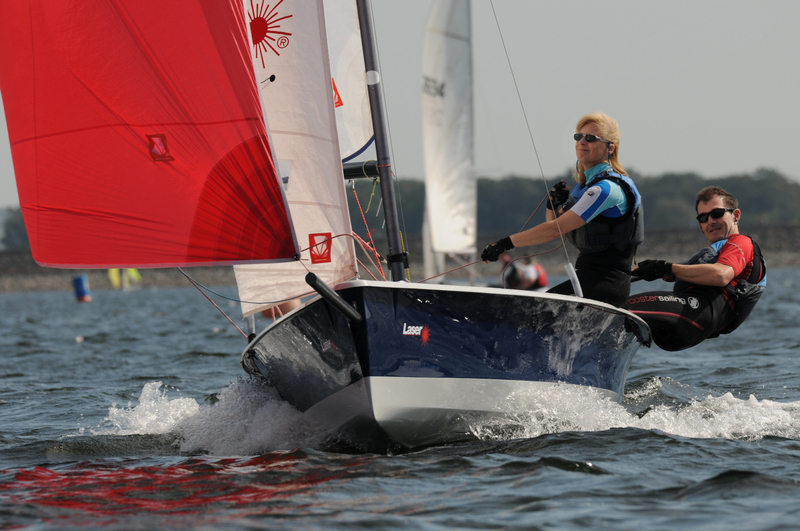 Check it out for interviews with Club stalwarts, Tim & Elizabeth Fillmore, and find out what some newer members did with a Wayfarer on their holidays.Also lots of other reports from the fleets, Women on Water, and announcements about Christmas and the AGM. Printed copies will be available in the clubhouse (shop, foyer, lounge, wet bar) by the weekend. 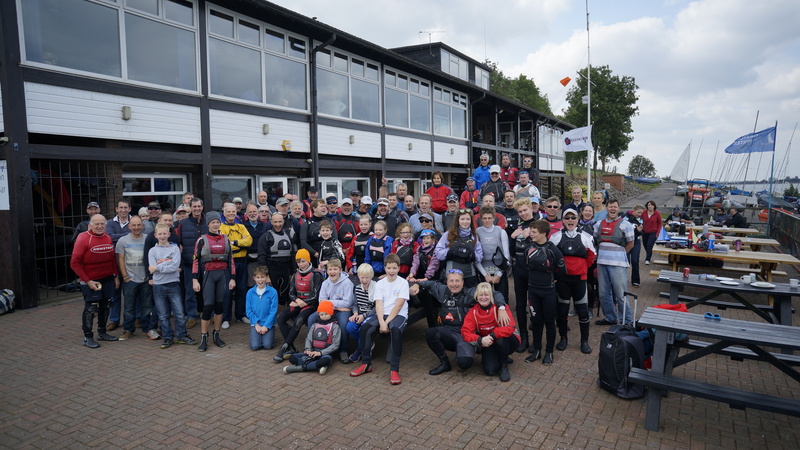 An incredible 79 boats sailed in Bart’s Bash this morning and so far as a club we have raised over £1500 for the Andrew Simpson Sailing Foundation. The results haven’t come in yet, but you can track our progress from the Bart’s Bash website here and you can still donate to the cause here.